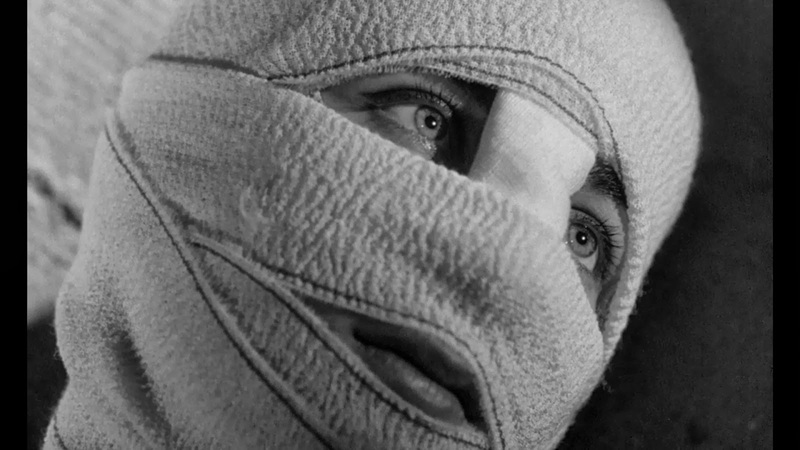 As we're heading closer and closer to Halloween, I'll be exploring some of my favourite horror films here at The Totality, starting off with the French classic Eyes Without A Face (Les Yeux Sans Visage). Eyes Without A Face is a galling and horrific movie featuring a scientist who performs biological experiments on a number of victims. The aftermath of the atrocities of World War II, a conflict still fresh in the mind of a devastated Europe, evidently looms large in Georges Franju's 1959 masterpiece. Franju's poetic feature, a movie which was the centre of much controversy upon its release, is nominally a horror film but, despite the grotesque acts at the heart of the narrative, focuses on the human rather than the monster. 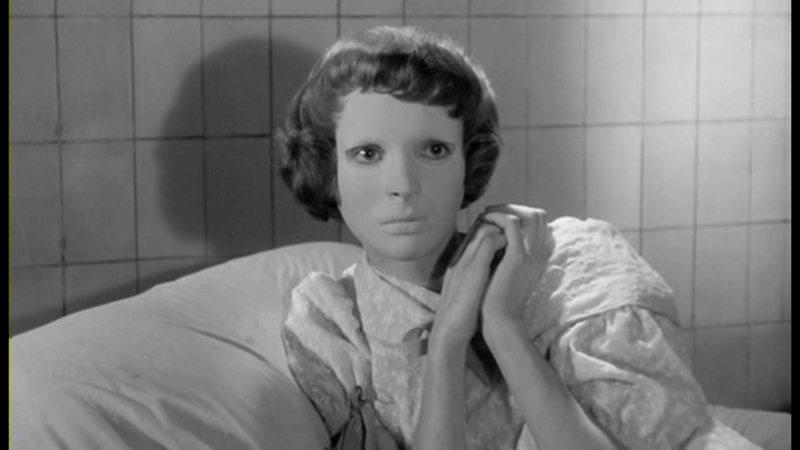 Eyes Without A Face tells the tale of young lady, Christiane (Edith Scob), who has been savagely disfigured in a brutal automoblie accident. Equally scarred, by guilt rather than physically, is her father Dr Genessier (Pierre Brasseur) who wants to put right his mistakes by performing surgery on his daughter to restore her looks - although the Doctor is the one looking to commit this experiment, in many ways he is both Frankenstein and the monster of this story too. Dr Genessier's frustrations grow as he is unable to successfully graft a new face onto Christiane - something which causes a great deal of pain and something which leaves her living out her days, trapped in an expressionless mask. Despite this, it's not hard to observe that Christiane is much less horrified by her own face than by her father’s ghoulish actions; in order to continue experimenting, Dr Genessier captures an array of women to perform experimental procedures on, disposing of their bodies each time he ultimately fails. Yet here is a film with sympathy for the devil – Dr Genessier may not be an evil man per se but his actions, inspired by guilt and desperation, are. Is it possible to feel sympathy for a cold-hearted killer who feels entitled to take the lives of others for his own needs? A mish-mash of influences from gothic Hammer Horror and German Expressionism through to French surrealists pervade in Franju's sorrowful tale, a movie which invokes Poe and Cocteau and foreshadows John Carpenter’s Halloween in a number of beautiful ways. It's a movie also filled with poetic horror – it’s poetry is found both in the stunning black and white visuals and haunting melodies of the mise-en-scene, and it’s allegorical narrative showing the brutality of those who believe in entitlement over other humans. Suggesting that humans are just as capable of performing acts of unspeakable barbarism as mad scientists, ghouls and other creatures found in horror fiction, is perhaps the most unsettling conclusion that can be drawn from Eyes Without a Face. Underneath masks, humans live and underneath the most barbarous of acts reside human beings too, as ghoulish and impossible to understand as they may be. When we question how some of the great atrocities of our time occurred, we can no longer write them off as simply evil but, much more troubling, as something which lies in the heart of human nature.